The back-to-school shopping season is a unique time to teach your kids some great money skills. Unfortunately, in the rush of buying back-to-school clothes, notebooks, and other school supplies, most parents are letting this valuable teaching moment pass by without much thought. To avoid that mistake, here are five tips to use amid back-to-school shopping in order to teach your kids some valuable financial literacy skills – and save some cash in the process. The National Retail Federation says that U.S. parents are going to spend an average of $635 on back-to-school purchases in 2013. For some families, that figure may be way too high, and for others it could be far too low. That’s why you need to talk to your child, teenager or college student about creating a realistic back-to-school shopping budget based on your family’s circumstances. 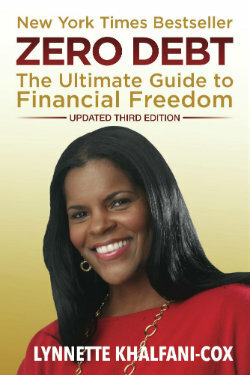 The goal should be to determine a pre-set spending limit that you both agree to – and you do it before you go shopping. That way, you establish expectations and your kid learns to live within his or her means. For lots of teenagers, back-to-school shopping is a time to load up on designer clothes and the latest trendy fashions. But as a responsible parent, it’s your job to rein them in and emphasize price and quality over brand names and an obsession with this season’s styles. 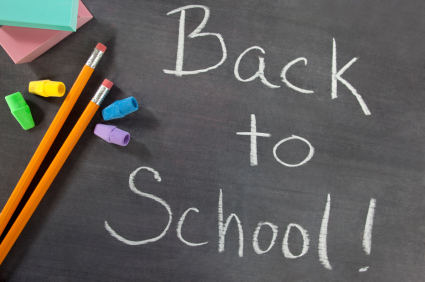 According to Capital One’s 13th Annual Back-to-School Shopping Survey, nearly half of all parents surveyed (47%) consider price to be the most important factor when making a back-to-school purchase followed by quality (36%). But for teens, only 22% of those surveyed consider price a top priority, and even fewer (10%) see quality as their biggest concern. Among teenagers, nearly half of those surveyed (46%) said style and appearance top their priority list when making a back-to-school purchase. And one in five teens (19%) say brand name is the most important factor to consider when making purchases. (Check out this cool infographic showing the disconnect between teens and parents when it comes to style vs. price). As adults, we all know that fashion and styles can come and go. So help your teen understand that price really does matter, and that if they’re wearing a pair of jeans or a sweater from last season — or even last year — that’s perfectly fine. Sites like Dealnews.com are good for alerting you to sales, promotions, coupons, rebates and other ways to save money during back-to-school season. Whether you’re shopping in stores or online, let your children know that you value discounts and getting a good deal. One way you can do that is by comparison shopping together – and letting your child join the hunt for the best deal. It’s not only more fun when you make bargain-hunting a family affair, you’re also imparting two important financial lessons: that saving money is important, and that high prices don’t always equal the best or most desirable merchandise. If you’re using a credit card to shop, don’t just whip out plastic without explaining to your kids how you’ll pay for it. Instead, let your use of credit serve as a teaching tool. For example, tell your kids that you’re only charging what you can pay off in a month in order to avoid finance charges. You can also let your kids know if you’re using a card with 0% interest or a rewards card that gives you cash back. For kids who are going to college, consider getting them a credit card that comes with tools to manage their credit wisely, like the Capital One Journey card. Give your child a budget for monthly spending (e.g., text books and school supplies) and have them pay their credit card directly to develop good payment habits. Above all, let your children know that you’ll be paying all your bills on time as a way to avoid late fees, strengthen your credit score, and protect your credit rating. Don’t feel compelled to buy everything your son or daughter asks for or even claims to need during back-to-school season. The reality is that some purchases can wait – especially things that your kids simply want and don’t really need. Get comfortable saying “No” to those extras items and non-essential goods that may get discounted later, during the holiday season a few months down the road. The purpose of pulling back on some spending isn’t to be a Scrooge. It’s to help teach your children about wants versus needs. Having them wait to get some items will also help them curb impulse spending and learn to practice delayed gratification. These are skills that will aid your children not just this back-to-school season, but over the course of their lifetime. By using the five tips and strategies mentioned above, you’ll not only pass along smart financial literacy skills to your offspring, you’ll also keep your budget in tact and save money too. What lessons will you be sharing with your kids during back-to-school season, and how will you help them become money savvy shoppers? Sound off here or share your ideas with me on Twitter or Facebook.